At WSC we have two full sized water-based Astro Pitches with Floodlights available for hire during week days and evenings. Also one smaller Astro, Multi Use Games Area (MUGA) with floodlights. Perfect for smaller groups and ideal for football or other physical games activities. 17th March: Talinka Quintet. Talinka is a musical attempt to defy the boundaries between styles and genres. It is where folk, early music, jazz and tango merge into simplicity harmony and warmth. 24th March: Zoe Rahman Solo. Zoe has been a favourite at Wakefield Jazz since she burst onto the scene with her quartet featuring drummer Gene Calderazzo. Her own music is quirky and very personal and her widely varied musical styles add to her impeccable jazz capabilities to produce an absorbing, engaging evening’s music. 31st March: Pete Oxley/Nicolas Meier Duo. Both Pete and Nic are absolute masters of the guitar. So expect a dazzling display of contemporary fare, ranging from Turkish panache to soundscapes of Latin America to English pastoralism. 28th April: Vein. Swiss basist leads a contemporary trio making a reputation in UK This trio has had a ten year life in Switzerland and has toured the world with americans Greg Osby and Dave Libman. As Spring approaches so does the 2017 bowling season with the first league match taking place on 27th March. Before that, however, the Club’s first internal competition, the Brockbank cup, will take place on Sunday 26th March at 2 pm. Anyone wishing to come along and watch will be made very welcome. If you fancy giving bowling a try then coaching sessions start again in April, on some Sunday and Wednesday mornings from 11.30 am – 12.30 pm. Posters and flyers will be produced nearer the time with definite dates. Our monthly coffee mornings continue and are held on 1st Wednesday of every month in the Bowls Pavilion. With Tea/Coffee etc. and a free raffle all for £1.50 – it’s not to be missed! Reminder: New members to the Bowls Club are always welcome and with playing membership at only £25.00 in the first year (under 18’s free!) it’s an absolute bargain. So come along and give it a go! Come and join us for our 21st Birthday Summer Splash! 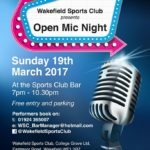 As always, this will be held at the Sports Club 16th, 17th & 18th June. Each year teams from all over the country take part in this fantastic weekend of hockey, socialising and hopefully sunshine! The tournament offers a high standard of play along with camping, catering and entertainment, all on site. Matches are played on 2 state-of-the-art water based Astroturf pitches. There will be live music and a DJ on Friday/Saturday nights. There are 24 spaces available so please book early to avoid disappointment. Coaching Sessions: Squash Coaching has been set up to provide coaching for adults and juniors of all abilities throughout the Club. The coaching consists of individual one to one coaching and group coaching for beginners, improvers, and advanced players. See their website for more information. Beginners with little or no prior experience are especially welcome at R & P Club. The following is a little information on how the membership works: Each person who joins the Club will have to pass a probationary period before being granted full membership status. This is required in order to apply for a firearms certificate. During this time safety, technique and shooting skills are taught along with ample opportunity to try lots of different firearms The minimum period before anyone can become a full member is 3 months and a minimum of 12 separate visits. Please see website www.wrpc.co.uk for further information. Junior Chess is attracting attention from further field. A games company, ‘Big Game Hunters’, based in Oxford, has donated a large chess set to be played outdoors in order to develop chess for juniors in the local area. Wakefield Chess Club Juniors continue to make good progress: Athish Kumar, aged 10, played his first match for our second team and defeated an experienced adult player just before the New Year. The First team narrowly lost to Bradford central 4.5 to 3.5 at the start of February which unfortunately means our chances for promotion have faded as a result. In February two of our club members achieved very good results in the intermediate section of the Doncaster Congress. Chris Tinker came first winning £250.00 and Siefaldin Holi came equal second winning £60.00 Four of our juniors played in our second team at the start of March: Athish Kumar (10) Ananya Ganjam (12) Shrichand Myneni (10) and Bhargav Myneni (9). The first three won their games which helped us to clinch the match 4.5 – 3.5 against Alwoodley second team. 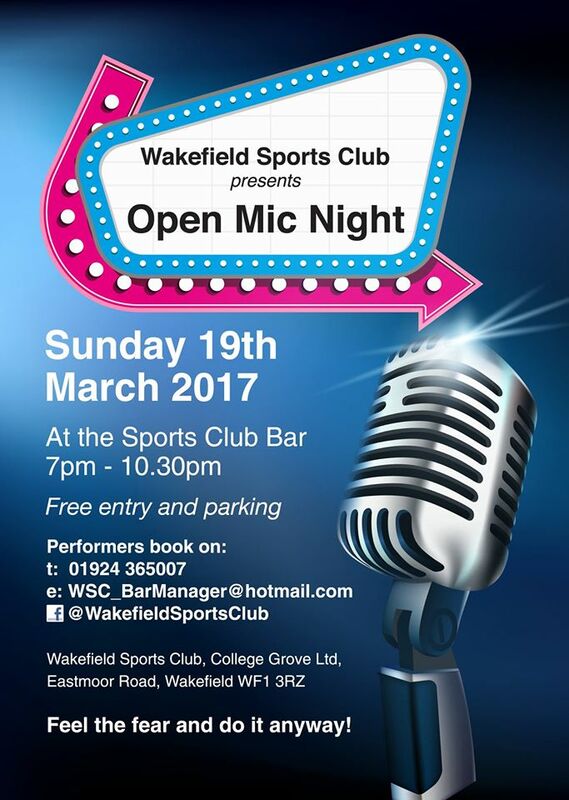 This entry was posted in Bowls, Chess, Event, Facilities, Hockey, Jazz, Open Mic, Rifle & Pistol, Squash, Wakefield Jazz by WSC Webmaster. Bookmark the permalink.